CB BAR : Jeep JL Wrangler NO DRILL / NO CUT Overhead CB Radio Mount – NOW AVAILABLE! One of the things that Cindy and I love most about the all new Jeep JL Wrangler is its interior. For us, Jeep absolutely knocked it out of the park with its fine appointments, detail and trim. It literally feels like we’re driving a luxury SUV, especially when compared to some of our old iron and for the crazy amount of time we spend in our Jeeps, this is a good thing. However, if there’s a downside to the super nice interior, it’d be the fact that there are very few, if any options to mount and or install a CB, Race or HAM Radio. Or should I say, not without having to do some cutting or drilling. Because communicating with the people we wheel with is important to us, this was a problem that I needed to solve and did so with the CB BAR. The CB BAR is an overhead CB Radio mount designed to accommodate a full size unit like a Cobra 29 and it’s a 100% bolt on system that utilizes existing holes in the factory roll bar. In other words, NO DRILLING, NO CUTTING and NO REMOVAL of any of the interior trim is required to install it. It’s also been designed to work with a hard top, soft top or no top and without blocking the rear view mirror or interfering with the sun visors, header latches or Freedom Top locks. The best part about the CB BAR is that it’s super easy to install, can be done in just minutes and with just a few basic tools. 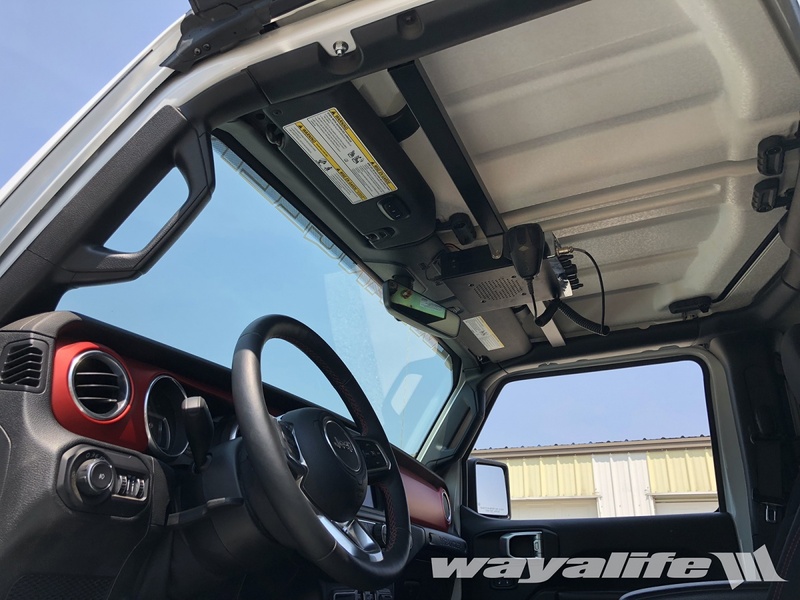 Be the first to comment on "CB BAR : Jeep JL Wrangler NO DRILL / NO CUT Overhead CB Radio Mount – NOW AVAILABLE!"